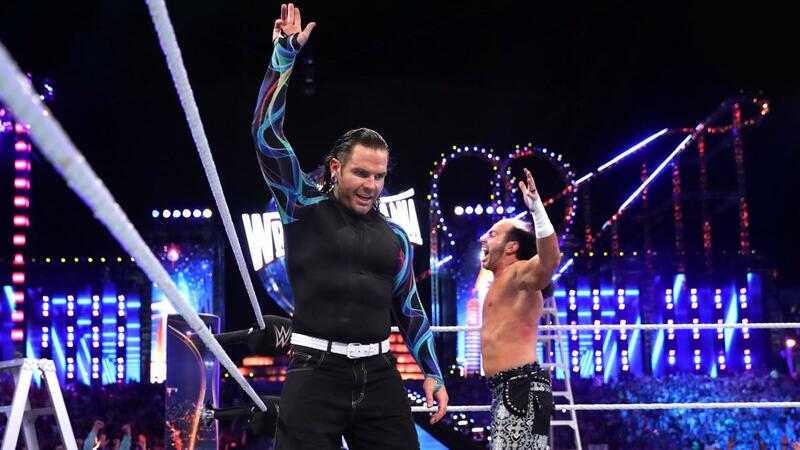 The Hardys made their long-awaited return to the WWE two years ago at WrestleMania 33 and captured tag team gold on their first night back. The ovation for their return is one of the coolest WrestleMania moments of all time. A lot of people remember this match for the seesaw ladder spot that brutally crushed Joey Mercury’s face. While that spot was indeed memorable, the match in its entirety is worth talking about, too. This match, specifically the ladder match stipulation and The Hardy’s involvement, was a last minute decision that got the crowd excited right before the bell rang. For the next 20 minutes, the four teams beat the holy hell out of each other with ladders, which never gets old. The 2000 edition of the Royal Rumble is an all-time Rumble pay-per-view event. Seriously, if you haven’t seen this show in a while, go check it out, because it’s an absoulte classic. As for th match itself, these two teams worked a frantic pace and did some really creative things with tables (and other things). Also, Jeff Hardy hitting a Swanton Bomb off a taxi is one hell of a shot. WWE’s tag team wrestling has never been better than it was during this particular era. The Hardys, The Dudleys, and Edge and Christian will forever be connected to one another thanks to incredible matches like this one. Watching all six of these guys raise the bar to heights (perhaps a little too high) that had never been seen before was a blast. 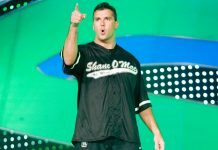 24 hours after Triple H tore his quad on Monday Night Raw in a tag team match (which was also fantastic) against Chris Benoit and Chris Jericho, WWE’s creative team were scrambling to figure out where to go next. The plans had shifted and they knew they needed to do something big to keep things going, and this impromteau TLC Match happened as a result. Both The Hardys and Edge and Christian were huge stars after this ladder match from No Mercy 1999. In fact, both teams received a standing ovation after the match was over, as well as the next night on Raw. Seeing Jeff Hardy do the leapfrog leg drop for the first time is something that we’ll never forget. This match is a lot of people’s answer to the popular “what’s your favorite match of all time?” question, and for good reason. These teams had already participated in a few of these multi-man ladder matches at this point and their chemistry together in this kind of environment was unmatched. The moment where Edge spears a swinging Jeff Hardy out of mid air may be the greatest in the history of WrestleMania. What are your favorite Hardy Boyz matches on the WWE Network? Let us know on Twitter, @TheRumbleRamble.